The following is a guest blog and has been posted with the full permission of the author. 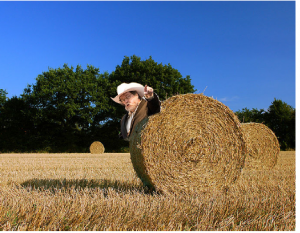 Myers, a prolific blogger and professor of biology at the University of Minnesota, Morris, has been accused of hoarding hay and straw for use in constructing his straw man arguments and logical fallacies. While some of the larger organizations such as the Minnesota Farm Network have been reluctant to criticize Myers out of fear of being targeted on his often-vitriolic blog, others are speaking out. frequent customers), but that Myers is by far the most active. Hardest hit are the farming communities southwest of Minneapolis and those north of St. Cloud. The regional shortage has caused the price of hay to triple, and additional straw is being brought in from as far away as Nebraska. One area man said he was making $500 per week hauling hay from Omaha and reselling it. But many farming families canât afford to pay a premium for straw, and grouse that Myers is unfairly cornering the market for his personal projects while their horses and cows go hungry. Myers, once known for his work as a biologist, has in recent years become most prominent for his strident criticism of religion, skepticism, and almost anything else he disagrees with. In a famous incident in 2009, Myers overheard a young woman mention that she was a staunch vegetarian, to which he immediately responded: âYou know, Hitler was a vegetarianâ¦ What other Nazi policies do you agree with?â Myersâs blatant logical fallacies have been cataloged by dozens of people including scientist-and-best-selling authors Sam Harris and Richard Dawkinsâand most recently by a bored fifth-grader in Duluth who happened to be skimming Myersâs âPharyngulaâ blog for a school project. 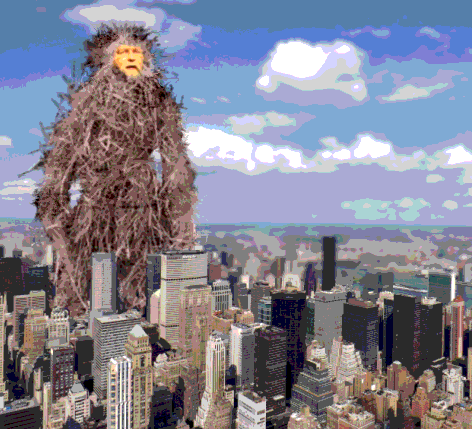 Despite his dismissive tone and having yet to publish a single book, PZ Myers has attracted legions of fans. In an article in the September 2008 print issue of Movieline magazine, screenwriter Ed Naha acknowledged Myers as an important inspiration for his film Troll and its later sequels. âThe special effects may have been kind of cheesy, but the script was so strong because it came from real life,â Naha said. âIâd read PZâs stuff, and the script wrote itself, it was pure gold. He was one of the biggest trolls, even back then.â Indeed, Myers earned the distinction of being named the âshepherd of Internet trollsâ by Sam Harris earlier this year. Might it not be time to move on? I don't mean to presume to instruct you on how you should compose posts or run your blog, but I cannot help but feel that the Myers thing has run its course. You have made your refutations of his spurious allegations which is sufficient, maybe even a satire or two but the video - didn't really care for it myself but nothing warranting a flagging - and this are not likely to achieve anything beyond being grist for his mill. Something he can use to gin up outrage and dismissal with the clown posse by highlighting these latter efforts and declaring, "see, see what a hollow vessel he is, just cheap shots and nothing else." That is all referents will see and it may be all they need to confirm the falsehoods being promulgated by that ideologue and not dig deeper. Thus if and when more untruths might be disseminated they will be accepted without question as your card was already marked. Plus it is also fodder that he thrives on, feeds his egotistical narrative of heroically battling the scum he imagines infect his precious "movement" because he has foes whose acts can be turned to his gain. One method of depriving these folks of sustenance is to proffer to them as much ignorance for their actions as can be mustered within reason. Of course when they slander and lie they must be refuted - I'd have also sought legal action if at all possible - robustly but once that deed is done and maybe one post charting their descent into irrationality, set them back on ignore. Don't even entertain their, or their clown posses, weaseling refutations as they take off with the goal posts and redefine words on the fly; ignore them. Let them inhabit their echo chambers and trade pious words of sanctimonious rage at all the windmills they tilt at. They'll inevitably fade to their own self-immolating group irrelevant to all but the broken, self-righteous types who flock to these prescriptive, policed for purity ideologies like extreme animal rights, anarchists, Randians etc.